Should I have a kid? Can I have a kid? We dive into the complex questions surrounding the decision-making process of how we create our families. We also lift up the many barriers and injustices, including infertility and lack of health insurance, that prevent people from being able to make these decisions freely. 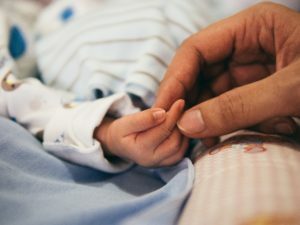 We talk about the ethic of raising kids “for the common good,” the intersections of privilege and parenting, and the question of having biological children within the Christian tradition. Are we all called to parent in some way? Ashley re-reads one of her favorite childhood books A Wrinkle in Time in the graphic-novel version. Extra fun: check out the trailer for Ava DuVernay’s upcoming film based on the book. Katey talks about Robin DiAngelo’s book What Does It Mean to Be White?, an accessible primer on the construction of whiteness and provides a way for white people to understand themselves as having a racial identify. Serena Williams is already one of our favorite role models, but we’re even more in awe that she won the Australian Open while pregnant. Go, Serena, go! Check out some of our favorite organizations working to make the world more just for all families.